So back to the city I go. What’s gonna happen to me? I don’t know. 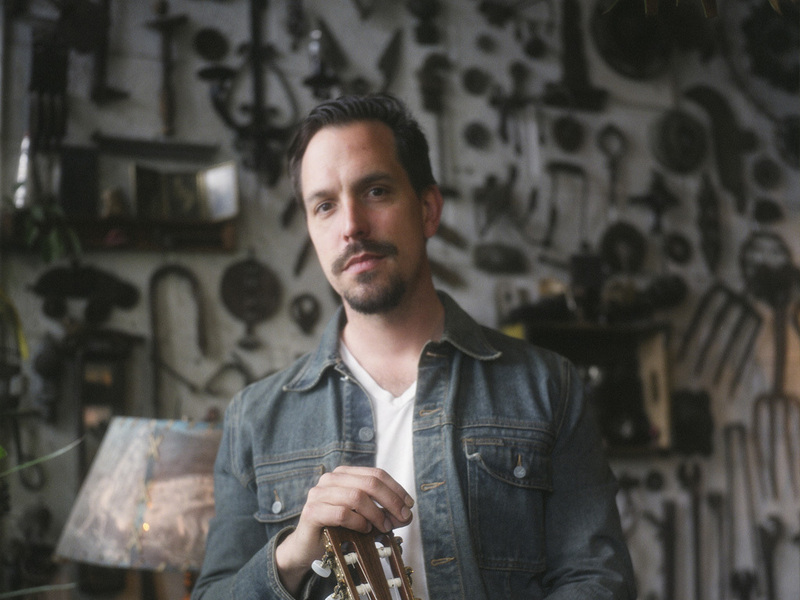 “Recording songs about spring in the middle of winter was the last thing I wanted to do,” Brooklyn-based songwriter Jeremy Bass confesses of the creation of New York In Spring, the second in a pair of bookended seasonal records that he is releasing in the first half 2015. Winter Bare arrived on April 14th and New York In Spring had a June 9th release. At the time, Bass was already exhausted from working on Winter Bare, the making of which not only happened to coincide with another brutal New York winter, but also a brutal period in his personal life. Returning to single living in Brooklyn after a rough divorce in late 2013, Bass found himself secluded in an empty house, sifting through his memories. It was an unlikely scenario for Bass, who by day is surrounded by a supportive artistic community as Musical Director of the New York-based OBIE Award-winning performance gathering, The Secret City. “We worship art” is the collective’s slogan, and Bass’ determination to complete Winter Bare and New York In Spring to his standards, and in such a short span of time, shows that he believes. Ultimately, New York In Spring is both the companion bookend to Winter Bare and the turn of a musical corner that Bass wished it to be. Where Winter Bare’s sound shows off Bass’ love of Merle Haggard, Tom Waits, and Johnny Cash, New York In Spring is an album of Bossa nova-inspired tunes featuring Bass’ live band, and influenced by the great Bossa nova composer Jobim and Brazilian guitar masters Luis Bonfa and Baden Powell. Many of the songs on New York In Spring come from deep in Bass’ catalog, written when he was still exclusively playing nylon stringed guitars, a remnant of his early days as a classical guitarist trained in the academies of Italy and the flamenco bars of Spain. Looking back, now that both albums are completed and being heard, Bass says, “I suppose it’s fitting that the songs on Winter Bare came out after a period of intense suffering in my personal life, followed by unexpected and incredibly joyful personal freedom, and musical exploration.” The music and mood on New York In Spring certainly channels that joy to the fullest, despite being recorded in the dead of winter. “In that sense the album is a dream of what we wanted our lives to be, and what we hoped they’d be soon,” Bass concludes. Winter Bare by Jeremy Bass is out now. New York In Spring arrives on June 9th, 2015 and is preceded by the single “Firefly,” streaming now.